Fractures (breaks) of the clavicle (collarbone) are very common. They usually occur when falling over unexpectedly. Typically the fracture involves the middle or outside (lateral) thirds of the clavicle. Since the beginning of time clavicle fractures have been treated by putting on a sling, taking regular painkillers, and waiting. It usually takes about 6 weeks for the fracture to heal enough that a sling is no longer required. At this stage most people can return to work but it might be some months until it is strong enough to engage in heavy physical activity. Ultimately function returns to normal and most people have no longterm repurcussions beyond a bump where the fracture has healed. Therefore it is perfectly valid to treat most clavicle fractures in this time honoured manner. 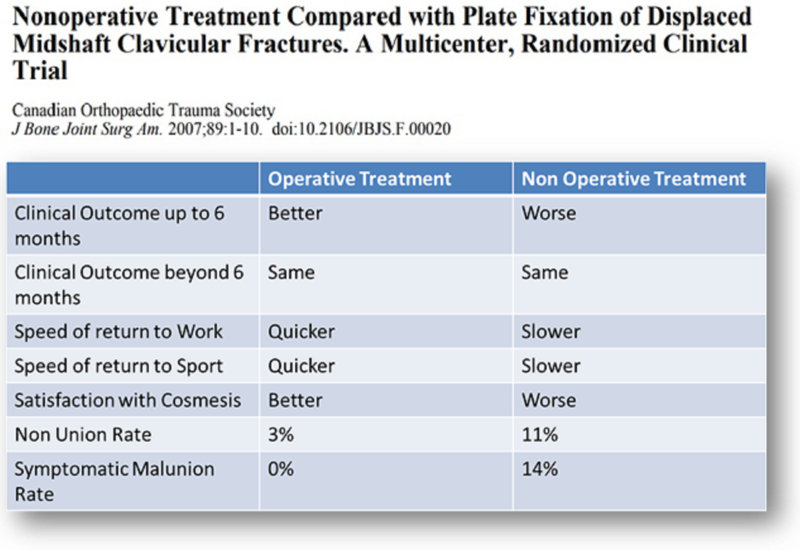 However a couple of studies, one from Canada, and another more recent one from London have both shown that people who had an operation to fix the fracture returned to work and sport more quickly than those left to heal naturally. In addition those who had surgery tended to have a better cosmetic result and had fractures that were more likely to unite. 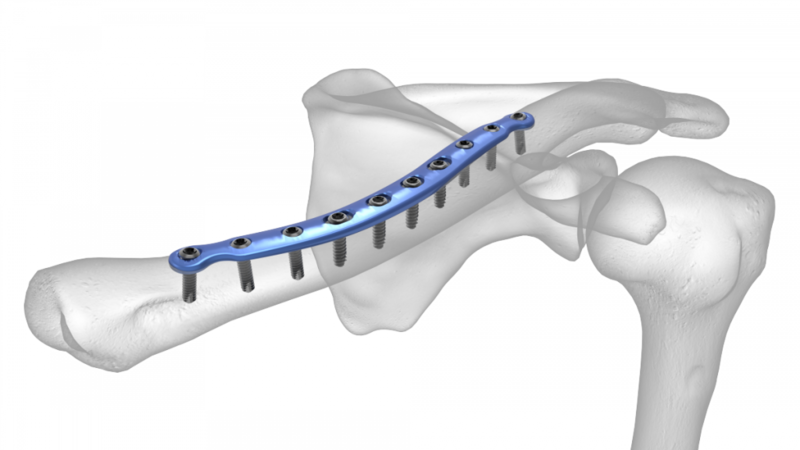 Modern strong plates in a variety of shapes and sizes can be reliably applied to hold a clavicle fracture once the pieces have been put back together. This surgery is performed under general anaesthesia, usually as a day case, and allows the patient to discard the sling within a couple of days after operation. 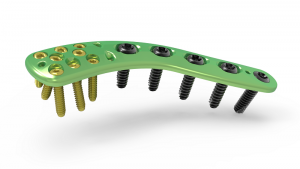 Since 2003 Harry has performed 234 clavicle fracture fixations.